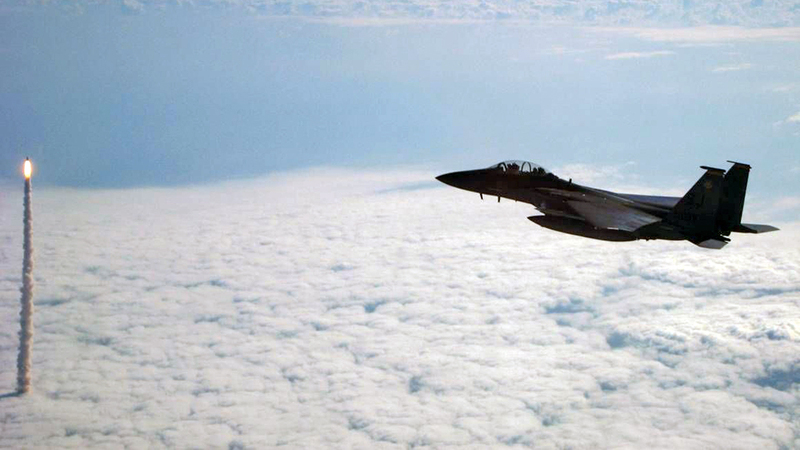 In case you were wondering what it would look like to watch the Space Shuttle launch from the cockpit of your F-15 while flying around with your awesome sauce buddies in the their F-15s, it would look something like this. "Tower, this is call signs Bronco and The Iceman reporting that this is &^%@#$% awesome, over." That must be what chocolate covered, deep fried crack feels like. Thanks to the guys at Gizmodo for posting it. by Revmacd for Roqoo Depot – All The Latest Star Wars News and other awesome stuff too. Great Lakes Garrison will be in Clinton Township, MI at the Jonas Salk Elementary for Star Wars Night. 70th Explorers Garrison will be in Springfield, MO for Dreamnight at the Zoo, a private after hours event for chronically ill children, they’ll also be in St. Charles, MO for the Weird Al Concert at the Family Arena. Bast Alpha Garrison will be in Baton Rouge, LA for Dreamnight at the Zoo, a private after hours event for chronically ill children. Ohio Garrison will be in Twinsburg, OH for the Relay for Life. Old Line Garrison will be in Columbia, MD for the One Man Star Wars Promo. 70th Explorers Garrison will be in O’Fallon, MO for the River City Rascals Baseball Game. Southern California Garrison will be in San Diego, CA at the Balboa Naval Hospital NICU Picnic and in Los Angeles, CA for the City of Hope Pediatric Cancer Survivor’s Picnic. Capital City Garrison will be in Gloucester, Ontario at the Robert Hopkins Elementary School Fun Fair. Central Garrison will be in Minneapolis, MN for the Minnesota Heart Walk, in Omaha, NE for Mangelsen’s 50th Anniversary Celebration, and in Sioux Falls, SD for a private birthday party for one very lucky Star Wars fan. Cloud City Garrison will be in Portland, OR for the Starlight Parade. Garrison Carida will be in Hershey, PA for Children’s Miracle Network Day, in Charlestown, PA for the WV Summer Special Olympics, and in West Chester, PA for The Garrison Carida Imperial Literacy Program Worlds Tour 2011. Midwest Garrison will be in Burbank, IL for the Walk N’ Roll-A-Thon. New England Garrison will be in Attleboro, MA for the Star Wars Charity Event with Ryder Windham. Wisconsin Garrison will be in Brookfield, WI for the Brookfield Public Library Star Wars Event. Bast Alpha Garrison will be having an Armor Party. Connecticut Garrison will be in East Hartford, CT for the Autism Speaks Walk. Garrison Carida will be in Danville, PA at the Weiss Geisinger Childrens Hospital. Great Lakes Garrison will be in Clarkston, MI for Cancer Survivorship Day. Southern California Garrison will be in Los Angeles, CA for the CHLA Celebrate Life with Hope Event for Cancer Survivorship. Connecticut Garrison will be in West Haven, CT at the Texas Road House. Southern California Garrison will be in Los Angeles, CA for E3. Wraith Squadron Details from Aaron Allston!